New Jersey Needle Artists publish a newsletter on roughly a quarterly basis. The Newsletters are sent to all NJNA members and are posted in the “Members Only” section of this website. 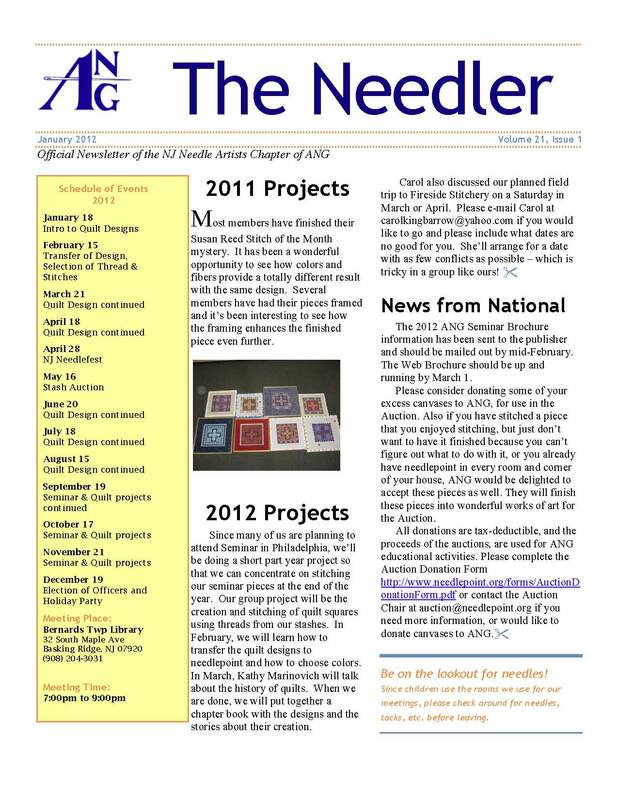 The January 2012 edition of “The Needler” is posted below as a sample for interested stitchers.